Over the past 9 months we have been testing out the new Frog MTB 62. 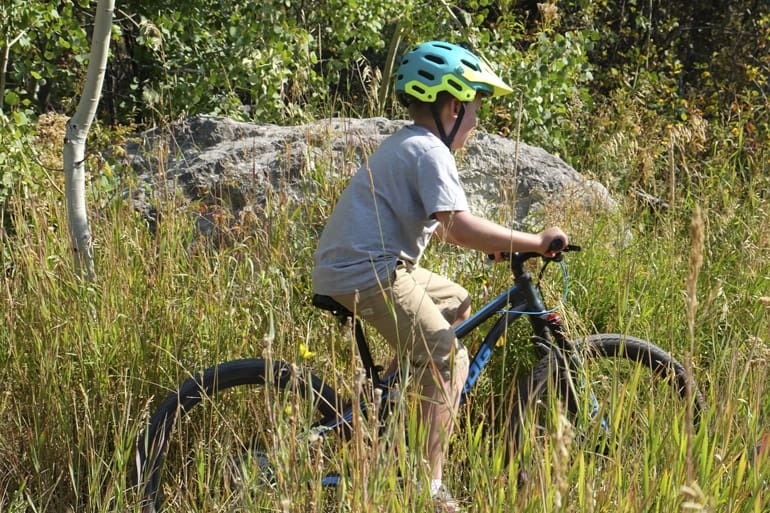 It was ideal to get riding both in the late summer/fall and then again this spring after our 9 year old son had grown considerably over the winter. 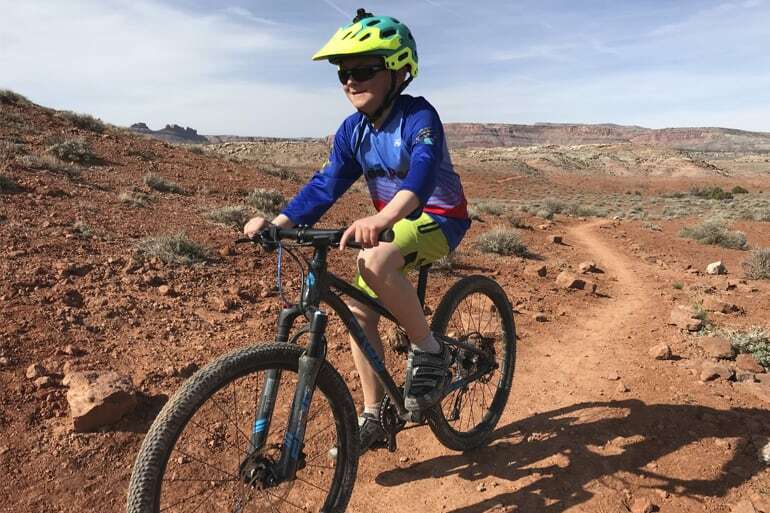 As with most mountain bikes, riders are more confident with a bike that fits them correctly or is even slightly small for them, especially on aggressive trails. 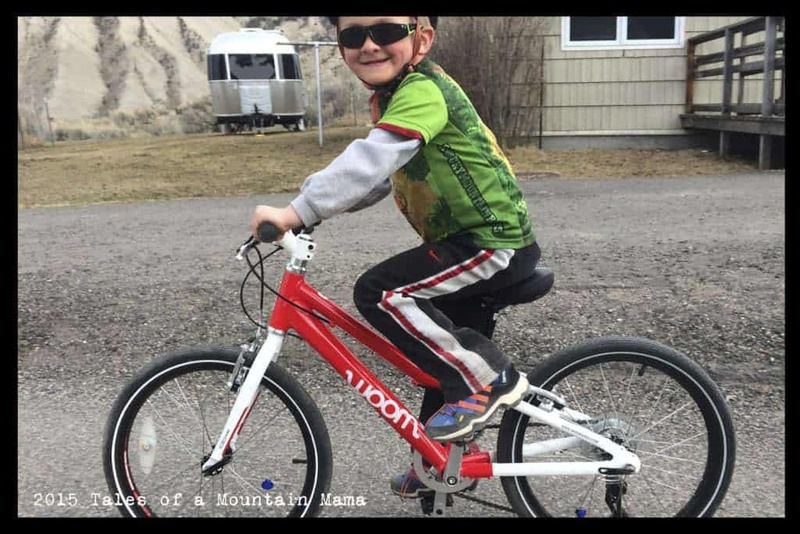 While he had no trouble riding it last summer, he is rocking it this spring. 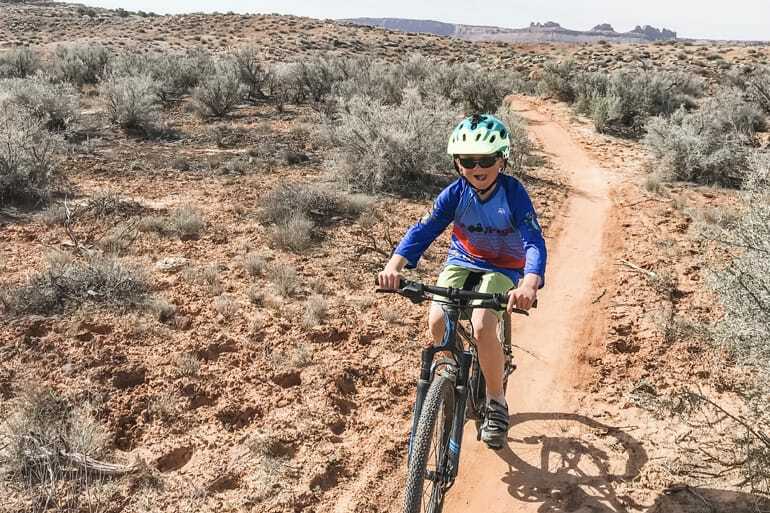 The Frog MTB 62 is a great comparatively budget-friendly option for kids who really do want to ride the trails, but are ok with a slightly heavier bike than some of them out there. To be honest, we have all been surprisingly impressed on how well it rides and handles challenges on the trail consistently. 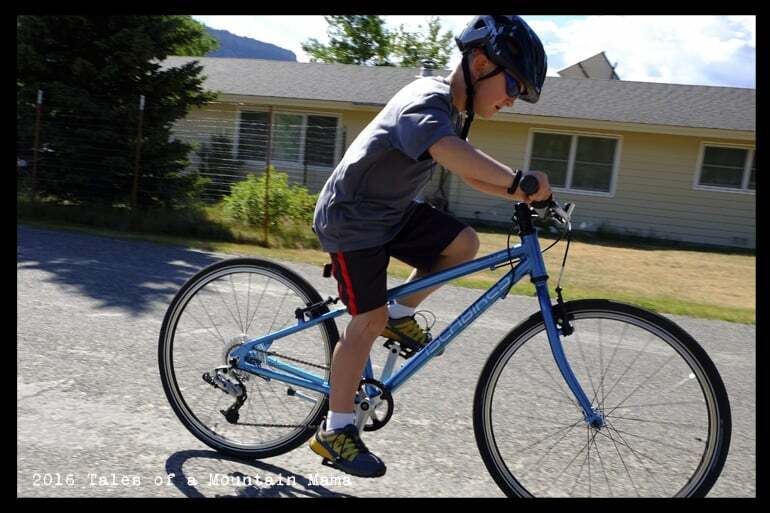 In fact, we even think it out-performs some higher-end mountain bikes our kids have used). 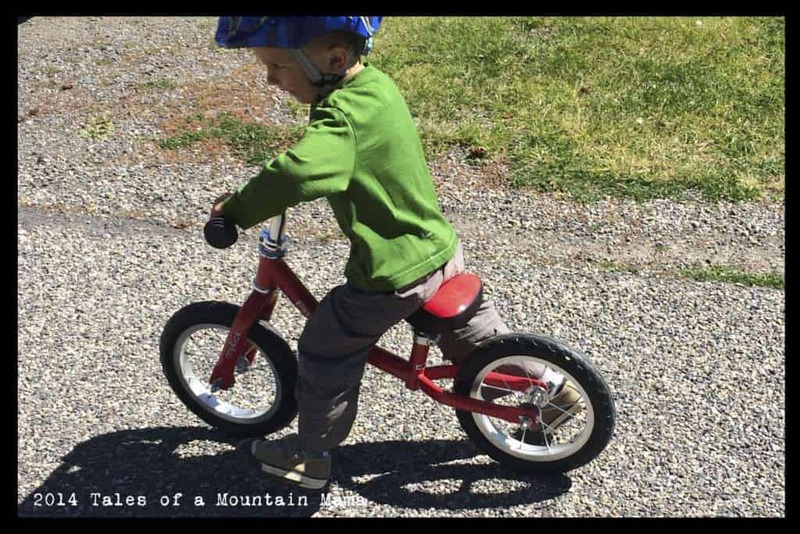 Our son chose to switch out the standard pedals for clip-in ones. While it certainly isn’t necessary, it’s been a great learning curve for him to overcome (there was plenty of falling when he started). 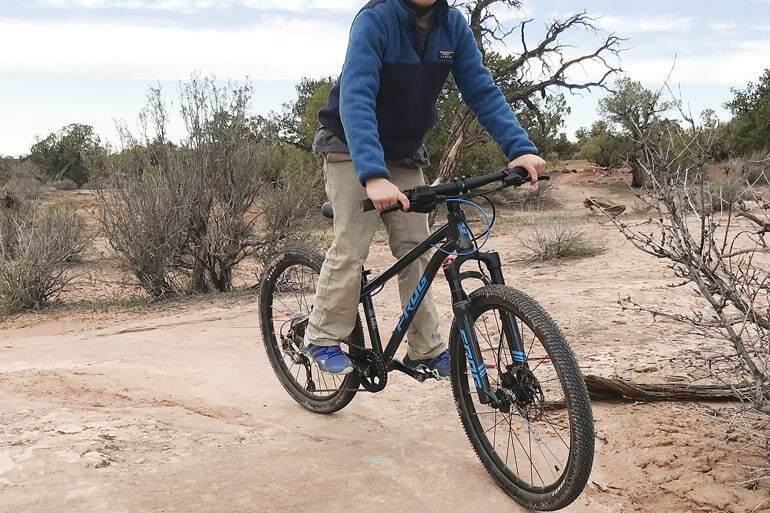 We also feel like it has made him a more confident rider on the trails. While Frog Bikes is out of the UK, they do ship to your local bike shop for free (so you can avoid a $250 delivery charge to the US). 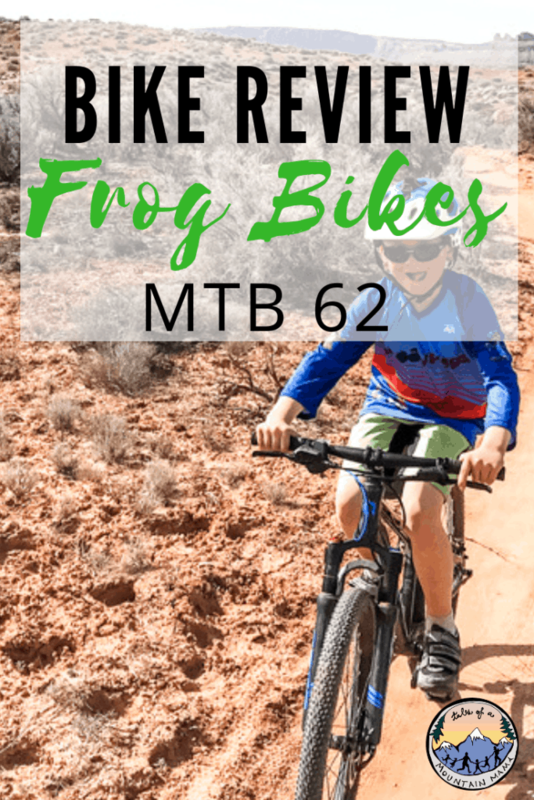 The Frog MTB 62 is an excellent bike for beginning and intermediate riders. 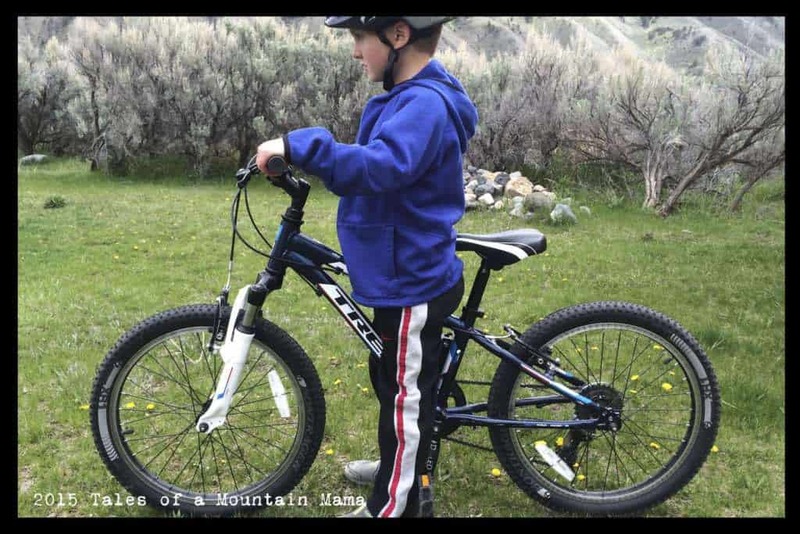 Our 9 year old son handles it very well and found it comfortable, sturdy and able to maneuver easily. 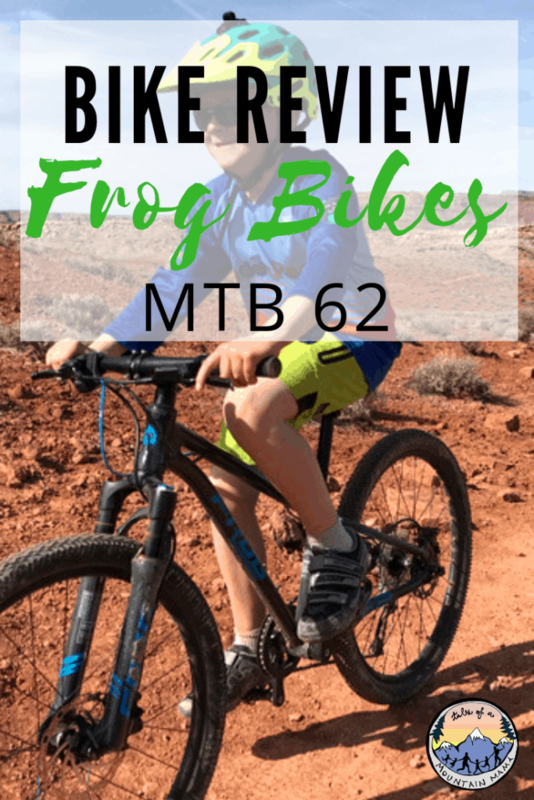 Also check out our review of the Frog 52.